Free agency is merely days away with some teams locking up their soon to be free agents and others releasing them to find a job with a new team. One player certain to see free agency is New England Patriots inside linebacker Brandon Spikes. The latest out of Patriotland is that the two sides aren’t even discussing a deal. Given the bizarre circumstances surrounding Spikes season ending injury for the Patriots last season, it’s hardly surprising. Enter the Tennessee Titans who are in rather desperate need for a quality inside linebacker and were even before the switch to a hybrid defense under Ray Horton. Horton is expected to move to a base 3-4 defense although the team will run components of a 4-3 as well. The Titans have 2 middle linebackers on their roster with NFL playing experience in Moise Fokou and Colin McCarthy. In 2013 neither were particularly bad but they weren’t outstanding either. Fokou won the starting job and held onto it since McCarthy once again was unable to stay healthy. 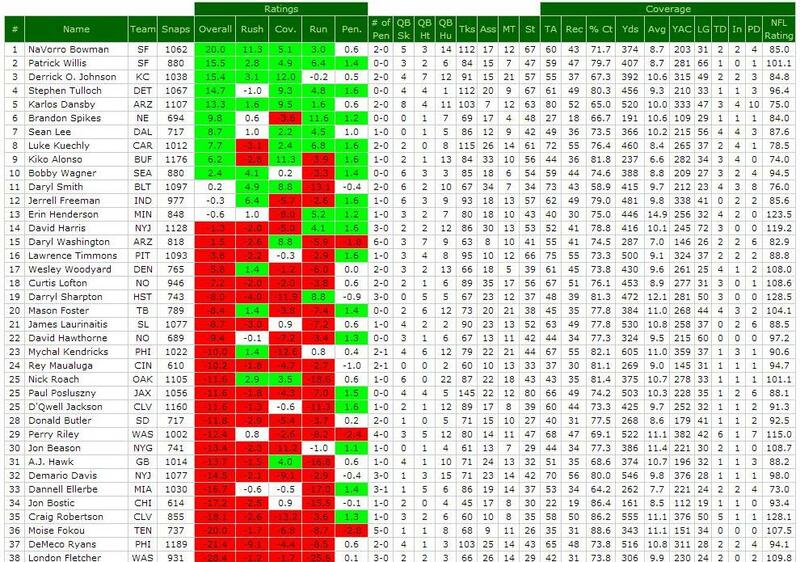 Fokou finished in the bottom half of the league for inside linebackers playing at least 50% of the defensive snaps. 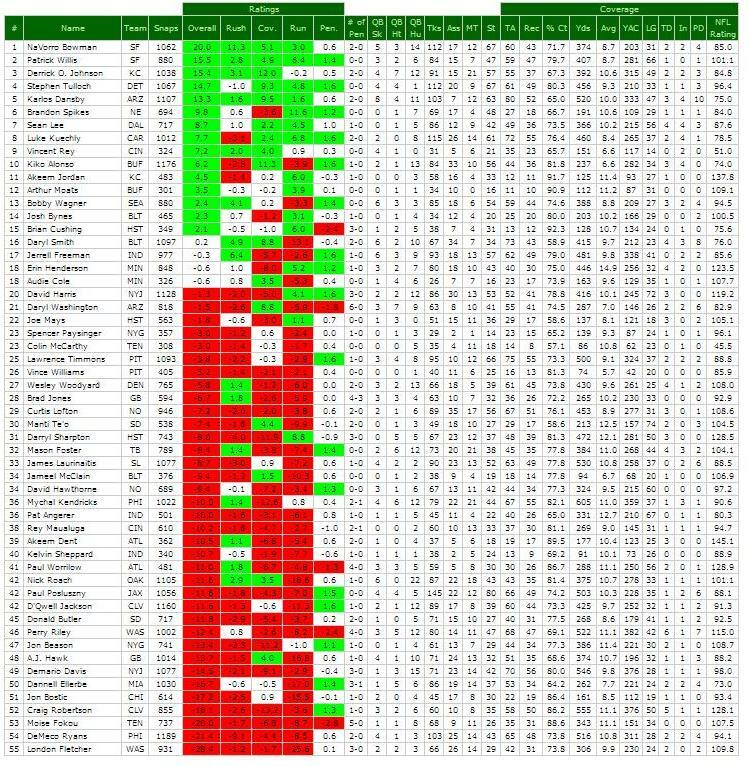 McCarthy only played 308 snaps to Fokou’s 737 but he generally fared a bit better. I think it would be wise for the Titans to give linebacker Zach Brown an opportunity to slide inside and play inside. Brown fell somewhat out of favor last season with the old coaching staff but remains one of the Titans best linebackers if not the best. I could see him filling a NaVorro Bowman type role in the Titans new hybrid defense. Regardless, the Titans new hybrid will need another good inside linebacker and Spikes would fill the bill quite nicely. The Titans run defense finished 20th overall last season, but at times it was quite terrible. Brown’s play fell of there but historically he has been good against the run. Ayers is quite good versus the run but Fokou and McCarthy both struggled against the run in 2013. Enter Spikes who graded out as the best inside linebacker against the run by Pro Football Focus. Spikes was selected in the 2nd round of the 2010 draft by the Patriots and is only 26 years old. Spikes dealt with a knee injury in 2013 and still posted outstanding numbers. He is expected to be able to pass a physical so there appears to be impediment to his signing with a new team as soon as free agency hits. The market for good inside linebackers is slim so the Titans have to be aggressive if they want to pursue Spikes. Not only do they need to upgrade the position but doing so will allow them to be far more flexible in the draft. The Titans currently only have 6 draft picks and aren’t expected to receive any compensatory picks. Scared money doesn’t make money so be aggressive in your pursuit Titans.